I’m so happy spring is finally here, the days are longer and brighter; I do love a sunny spring day! With spring in the air I thought it would be a perfect time to share some of my raw recipes with you that I’ve been working on. I’ve always liked to bake healthy desserts but raw cakes were never my cup of tea, but then I came across two amazing food bloggers, Deliciously Ella and Emily from This Rawsome Vegan Life. They are both vegan and share the most delicious healthy vegan recipes. 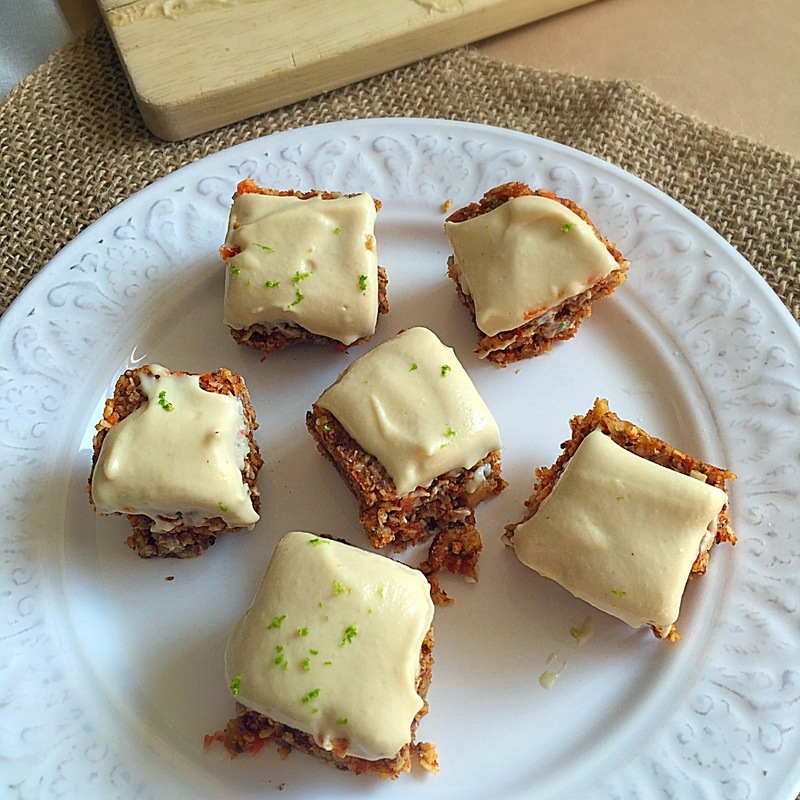 Having been inspired by Ella and Emily I decided to make my first raw protein bars, I couldn’t believe how simple it was, raw desserts that are easy and tasty, that’s a win in my book! Trust me, I’m not a chef or trained cook, and if I can do it anyone can. 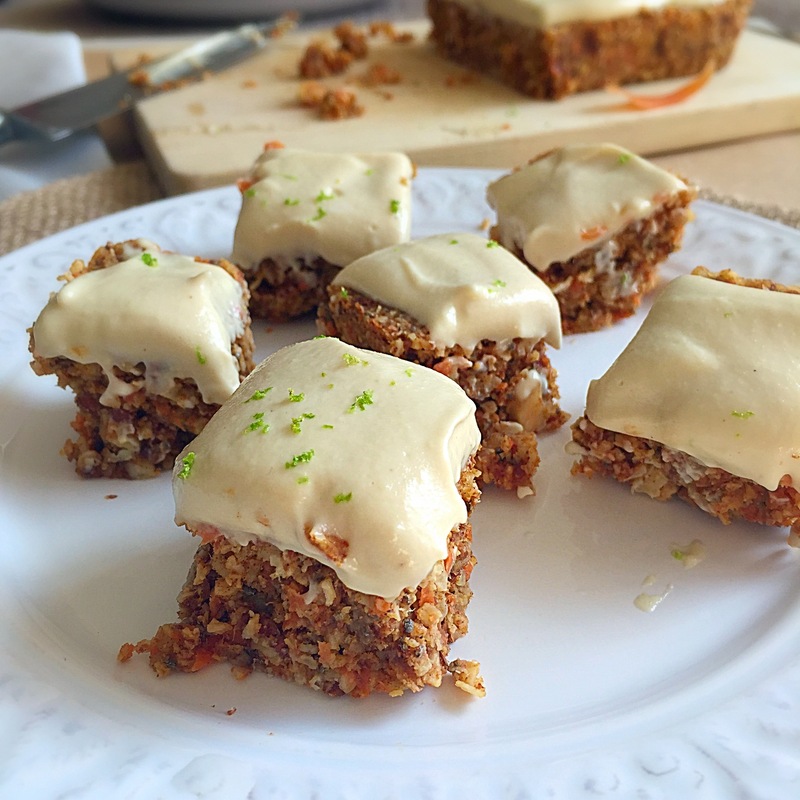 This raw carrot cake is not only nutritious and packed with healthy fats and natural sugars but so delicious as well. You can really taste the spices, carrot, and lemon peel. In addition chia seeds give the cake a nice crunchiness. 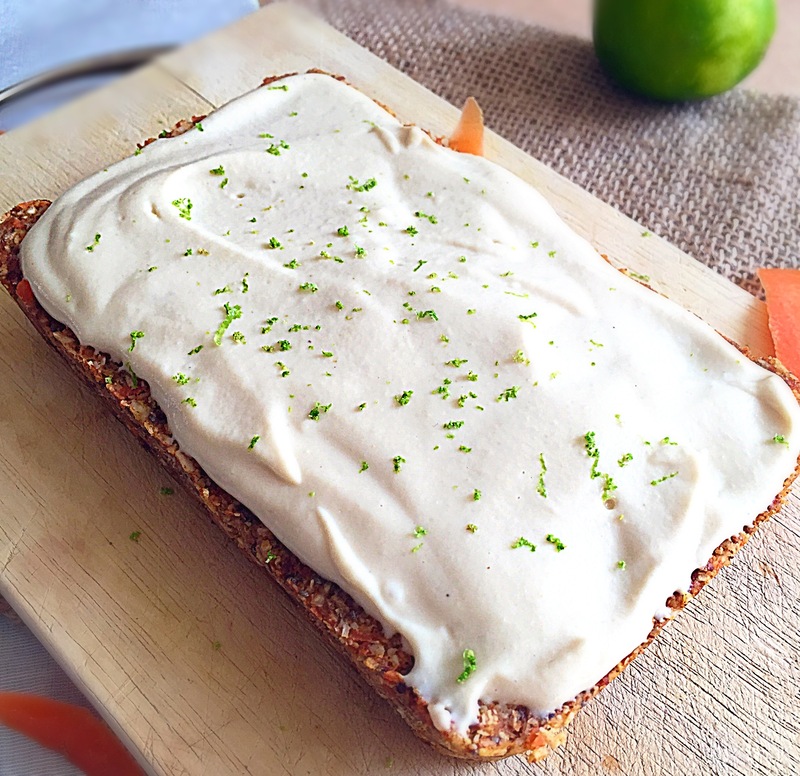 What I like the most is that is not over sweet (if you are sugar addict just simply add more agave syrup to the icing) and it makes it a perfect dessert on a spring or summer day. – 1 tsp pure vanilla essence? – In a food processor blend the almonds, coconut and spices on a low speed for about a minute or until crushed, then add the dates, shredded carrot, chia seeds, lemon peel and vanilla and process for another minute or until the mixture starts sticking together. – Transfer the mixture onto a cake tray, press it gently, and allow it to set in the freezer for about 2 hours. – In a high speed blender mix the drained cashew nuts, agave nectar, lime, lemon and vanilla essence until smooth. Add a little bit of water if it’s too thick. – Set aside in the fridge for about an hour. Take the cake from the freezer and let it return to room temperature. Cover it with a thick layer of icing and put back into the fridge for another hour or so. Cut into small squares before serving. This looks fantastic! I love healthy spins on classic comfort foods. I’d love for you to share a post in my link up tomorrow, if you’re interested!